Certain content, features and functionality on the Site may be owned and operated by third parties (collectively, “Third-Party Providers”), including but not limited to Twitter (collectively, “Third-Party Content”). Quaintise may, but is not obligated to, monitor or review any areas on the Site containing Third-Party Content. Your use and interaction with such Third-Party Content may be subject to separate terms and conditions of Third-Party Providers and, if applicable, you will be subject to and comply with the terms and conditions offered by such Third-Party Providers. 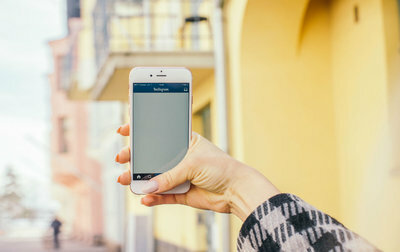 YOU ACKNOWLEDGE THAT WE ARE NOT RESPONSIBLE OR OTHERWISE LIABLE FOR THIRD-PARTY CONTENT OR THE ACTS OR OMISSIONS OF THIRD-PARTY PROVIDERS AND THAT ANY CLAIMS OR OTHER CAUSES OF ACTION AVAILABLE TO YOU IN CONNECTION WITH EITHER OF THE FOREGOING WILL BE BROUGHT AGAINST THE APPLICABLE THIRD-PARTY PROVIDER(S) AND NOT QUAINTISE. If you do submit material, and unless we indicate and agree otherwise, in writing, you grant Quaintise an unrestricted, nonexclusive, royalty-free, perpetual, irrevocable and fully sublicensable right to use, reproduce, modify, adapt, publish, translate, create derivative works from, distribute and display such material throughout the world in any media. You further agree that Quaintise and its assignees are free to use, without consideration, any ideas, concepts, know-how that you or individuals acting on your behalf provide to Quaintise. You grant and are authorized to grant Quaintise and its assignees the right to use, without consideration, any name or likeness you submit in connection with such material, if the company so chooses. You represent and warrant that you own or otherwise control all the rights to the content you post; that the content is accurate, is noninfringing and does not otherwise violate the rights of any person or entity and conforms to all applicable law; that use of the content you supply does not violate any provision herein and will not cause injury to any person or entity; and that you will indemnify Quaintise for all claims resulting from content you supply. You may not use any “deep link,” “page-scrape,” “robot,” “spider” or other automatic device, program, algorithm or methodology or any similar or equivalent manual process, to access, acquire, copy or monitor any portion of the Site or any Content, or in any way reproduce or circumvent the navigational structure or presentation of the Site or any Content, to obtain or attempt to obtain any materials, documents or information through any means not purposely made available through the Site. You may not attempt to gain unauthorized access to any portion or feature of the Site, or any other systems or networks connected to the Site or to a Quaintise server, or to any of the services offered on or through the Site, by hacking, password “mining” or other illegitimate means. The Site may contain links to other websites, some of which may be operated by Quaintise and others of which may be operated or controlled by third parties (“Third-Party Sites”), including links contained in advertisements, such as banner advertisements and sponsored links. These links are provided as a convenience to you and as an additional avenue of access to the information contained therein. The inclusion of links to Third-Party Sites is not, and should not be viewed, as an endorsement by Quaintise of the Third-Party Sites or any content therein. Different terms and conditions apply to your use of Third-Party Sites. QUAINTISE HAS NO CONTROL OVER THE CONTENT OF THIRD-PARTY SITES, AND ACCEPTS NO RESPONSIBILITY FOR THEM AND HEREBY DISCLAIMS ALL LIABILITY RELATED TO THEM. IF YOU DECIDE TO ACCESS ANY THIRD-PARTY SITES, YOU DO SO ENTIRELY AT YOUR OWN RISK AND SUBJECT TO THE TERMS AND CONDITIONS OF USE FOR SUCH THIRD-PARTY SITES. TO THE MAXIMUM EXTENT PERMITTED BY LAW, QUAINTISE EXPRESSLY DISCLAIMS ALL WARRANTIES OF ANY KIND, WHETHER EXPRESS OR IMPLIED, REGARDING ANY MATTER, INCLUDING BUT NOT LIMITED TO: (I) MERCHANTABILITY, SUITABILITY, FITNESS FOR A PARTICULAR USE OR PURPOSE, TITLE, NONINFRINGEMENT AND WARRANTIES IMPLIED FROM A COURSE OF PERFORMANCE OR COURSE OF DEALING; (II) RESULTS TO BE DERIVED FROM THE USE OF THE SITE OR ANY DATA, CONTENT, SERVICE, SOFTWARE, HARDWARE, DELIVERABLE OR OTHER MATERIALS RELATED TO THE SITE, OR THE AVAILABILITY OF ANY OF THE FOREGOING; (III) WHETHER THE CONTENT IS TRUE, COMPLETE, ACCURATE, NON-MISLEADING OR TIMELY; AND (IV) THE ABSENCE OF ANY VIRUSES OR OTHER HARMFUL CODE IN THE SITE OR ITS CONTENT. FURTHER, WE DO NOT REPRESENT, COVENANT OR WARRANT THAT ACCESS TO OR SERVICES PROVIDED BY THE SITE WILL BE UNINTERRUPTED, ERROR-FREE OR SECURE. TO THE MAXIMUM EXTENT PERMITTED BY LAW, IF YOU DOWNLOAD ANY MATERIALS FROM THE SITE, YOU DO SO AT YOUR OWN DISCRETION AND RISK, AND YOU ARE SOLELY RESPONSIBLE FOR ANY DAMAGE TO YOUR COMPUTER SYSTEM OR LOSS OF DATA THAT RESULTS FROM THE DOWNLOAD OF ANY SUCH MATERIALS.